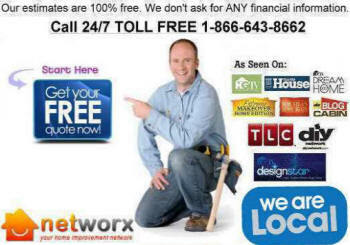 Local Deck Builders Near Me Trex Wood & Composite 2019 Contractors Call ☎ Today FREE Quote Wood, Treated, Cedar, Redwood, Pine, Timber Deck Designer Local Near Me Build Roof Over Deck New, Replace Deck Boards Build Steps Railing. 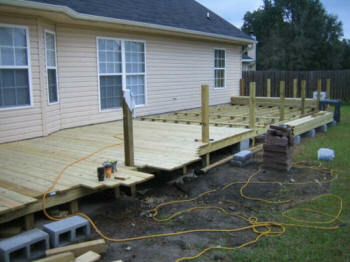 Residential services for decks, We can help you with all phases of your deck project. From a deck Construction idea you may have, straight through to deck building. We have plenty of basic deck plans to choose from or if you are looking for a more complex design, we can make a custom design deck above to your specifications. 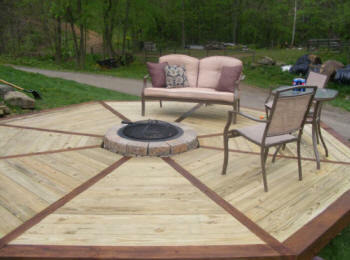 We have extensive experience with decks of all shapes and sizes, gazebos, Patio Decks, We can build Enclosed decks using any type of materials you specify to include, composite wood materials, such as Trex, Timbertech Choicedek, Weather best as well as decks with all wood construction, ACQ Treated lumber, Cedar, Redwood, and Ipe Brazilian hardwood. An outdoor deck is a great place to entertain guests either for drinks, a meal, or an outdoor party. It also provides a peaceful environment to sit and relax or study, have a conversation, etc. A deck is a perfect spot to enjoy warm drinks on cool nights or cold drinks when it’s hot, and sleep outside under the stars. It is an ideal place for having a barbecue. There are endless uses for an outdoor deck. There are many different styles and designs of decks to choose from. 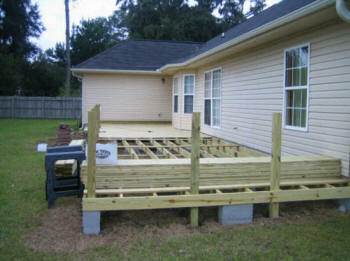 Whether you plan to build your own deck or contract a building team, there are many different variables to decide on. What kind of deck are you planning on building? There are pool decks, spa decks, decks with gazebos or sun umbrellas, roofed decks, high decks, low backyard decks, deck benches, deck planters, decks with structures on them such as small cabins, arbors, and other items to help make your deck into a beautiful place of peaceful relaxation. What material will you use to build your deck? 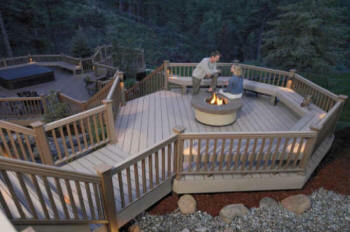 What sort of furniture do you plan to put on your deck? 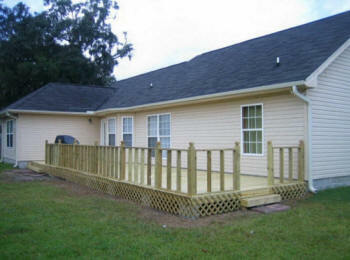 Your deck should match your house and the furniture style should match your deck. Do you want to go for a rustic look, or would you prefer a more modern touch? Before building, carefully weigh your options, analyzing the benefits of each. 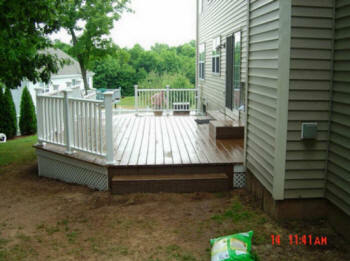 You want your deck to last and provide years of fun and enjoyment. For this, it must be planned and designed in detail. Choose the size of your deck wisely, if you have plenty of space, a large deck can be a very useful and enjoyable area, and it would be much better to have extra space than to later regret not having built it large enough. 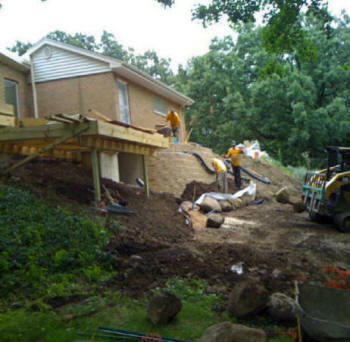 Cost Information- The cost of your deck will vary greatly depending not only on the size of deck or materials you select, but also can be affected by many things such as terrain, elevation, and the level of detail (such as railing design, steps, planters, etc). 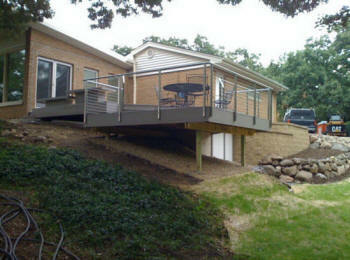 We will meet with you at your home to discuss many aspects of your new deck, including design and material selection. Of course, this visit is at no cost or obligation..
Are you thinking of building a patio deck but do not have a clue about where to start? 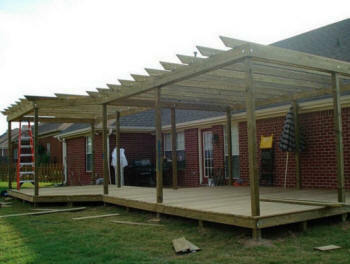 One of the most important steps in building a patio deck is the planning phase. 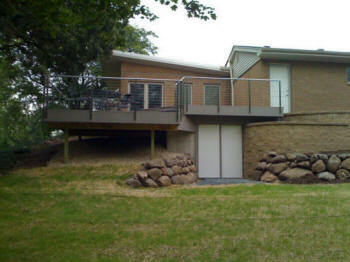 Take your time deciding exactly what you want your deck to look like, and the purposes it will serve. Undoubtedly, you have a picture or idea in your mind of what you want, if you do not carefully plan and design your patio deck, capturing your imagination on paper, it may not turn out to your satisfaction and you may end up not using your patio nearly as often as you planned. Consult other family members and friends with artistic talent; brainstorm what you want to get out of your patio deck. If you need to, you can hire a designer to help you with creative suggestions. Do you want to have permanent shade on your patio deck, or would you prefer the option of mobile sun umbrellas, a gazebo or awning, which provide the option of sunbathing. 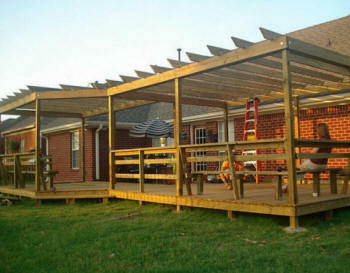 You may wish to add an arbor to your deck; you can choose whether to cover the entire deck, or only a portion of it. With the variety of different building materials that are available today, options for building a patio deck are virtually limitless. The only thing that will limit your deck is the amount of money you wish to invest in it. 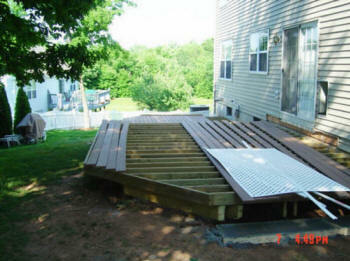 There are a few basic options of what to use to make your deck floor. Wooden floors have a limited lifespan that varies according to different things, such as the weather, moisture, etc. Wooden floors also require the most maintenance and need to be regularly sanded, painted, stained, etc. Concrete is very popular for deck floors, but not much can be done as far as aesthetics go, not to mention the inevitable cracks that appear with time. It is also very hard to repair concrete floors. Brick, flag and cobble stones can be used to design the floor as well, with the advantage that they are separate units put together, therefore avoiding the cracking that appears in concrete floors. Paving stones are rapidly becoming more common due to the fact that they offer much more in the way of durability and style, there are many different colors and styles of paving stones, and the designs and patterns that they allow are virtually limitless. They built my deck and did some repairs on my porch. For more than a couple of decades, wood decks have been the choice of home improvement for many homeowners across the United States. Wood decks as home improvement, not only add to the value of your home, but also endow you with a communal area in which you and your family can group for eating and other host of activities. 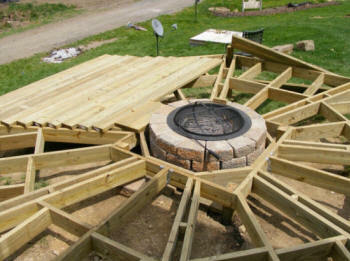 I Need Find Best Local Deck Builders We have extensive experience with decks of all shapes and sizes, hot tub decks, above ground pool decks, gazebos, Patio Decks, We can build Enclosed decks using any type of materials you specify to include, composite wood materials, such as Trex, Timbertech Choicedek, Weather best as well as decks with all wood construction, ACQ Treated lumber, Cedar, Redwood, and Ipe Brazilian hardwood. 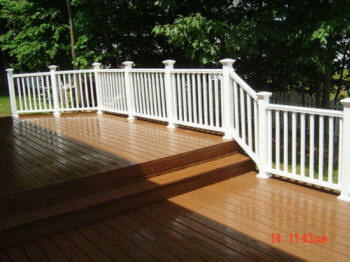 custom deck accessories such as deck benches and planter boxes.